No fancy introductions here. Let me share my Oscar ballot. Will Win: Buzkashi Boys – More of your standard short film that would win this award. Should win: Fresh Guacamole – The animation style is refreshing and, at 90 seconds, the film doesn’t wear out its welcome. Will win: Paperman – Although it’s a little too warm and fuzzy (read: cheesy), the animation is nice and it’s a fun, little story. Should win: Mondays at Racine – Other than “Redemption,” all of these nominees are great. However, “Mondays at Racine” does everything a great documentary should and it is by far my favorite. Will win: Searching for Sugar Man – This music documentary has been picking up a lot of steam recently, so I’m putting my money on it. Should win: Life of Pi – All great nominees, but “Life of Pi” should win in most technical categories where it’s nominated. Should win: Skyfall – Action movies usually do pretty well here. I loved “Skyfall” and I think it needs to win in most, if not all of the categories it’s nominated in. Will win: Life of Pi – With 11 nominations, it’s hard to believe such a technically well-done film would be overlooked here. Should win: Life of Pi – This is as much of a toss-up as Sound Editing, but I feel like “Life of Pi” isn’t going to run away with the show. Should win: Skyfall – It’s Adele. Let’s be real. Will win: Life Pi – Mychael Danna’s score won at the Golden Globes and it’s really good, so I’m going with it here. Will Win: The Hobbit: An Unexpected Journey – With only 3 nominees, the one fantasy movie should be a lock. Will win: Snow White and the Hunstman – There’s always one mediocre/bad movie that wins a technical award. On top of that, Colleen Atwood has 10 nominations and 3 wins at the Oscars, so it wouldn’t really be a shock if her film won. Should win: Anna Karenina – Again, a very visually pleasing film that most artsy people loved. Will win: Life of Pi – I think this is another technical category where “Life of Pi” will sweep up the award. Should win: Argo – The film’s editing is one of its strong points in the technical area. It certainly felt like a better edited film than the other nominees. Should win: Skyfall – One of the biggest crimes of modern cinema is that Roger Deakins has never won an Oscar, despite being nominated 10 times. Also, I happen to think it’s the best of the bunch. Will win: Lincoln – Probably my second-favorite of the nominees, but I think “Lincoln” will be winning more awards than just Best Actor. Should win: Amour – Given that it was also nominated for Best Picture, Best Actress, Best Director and Best Original Screenplay, I don’t think the other nominees have a chance at all. Should win: Wreck-It Ralph – Really good animation with awesome references to the gaming world. Will win: Wreck-It Ralph – As much as I liked “ParaNorman” and “Brave,” I liked “Wreck-It Ralph” more. Should win: Argo – My favorite film of the year and it recently won at the Writers Guild awards. Seems like a safe bet to me. Will win: Argo – Yep. Should win: Zero Dark Thirty – Mark Boal won for his last team-up with Kathryn Bigelow, “The Hurt Locker,” and I think his script is a little better here. Will win: Django Unchained – I think Quentin Tarantino will get a dark horse win here, just like his Golden Globe win. Should win: Ang Lee – “Life of Pi” is the most technically masterful film of the year. Combined with the fact that Ang Lee made a hit out of this film without a marketable star and having to satisfy the book’s many fans, it’s hard to argue for anyone else. Will win: Steven Spielberg – Probably the 2nd best directing job, but I think Spielberg’s prestige will edge him over Lee’s work. Should win: Anne Hathaway – This is one of those times where the early favorite is going to take the top prize. Should win: Christoph Waltz – His character in “Django Unchained” is my favorite from the year. My only concern is that people think his character is too close to the role he won for in 2010. Should win: Emmanuelle Riva – Riva’s performance in “Amour” is hauntingly good and underrated by most. Will win: Jennifer Lawrence – Lawrence has been tearing up the interview circuit and her performance is very good. The politics of the Oscars will place her at the podium. Should and will win: Daniel Day-Lewis – If anyone else won this, it would be one of the biggest upsets in Oscar history. If it were to happen, Joaquin Phoenix would be the man to do it. Should win: Argo – This is, in my opinion, the best film of the year. Will win: Argo – With all of the buzz surrounding this film since Ben Affleck’s snub at Best Director, it would be very surprising if anyone else knocked it out of first place. To kick off my coverage of the Oscars, I wanted to talk about my favorite of the shorts categories. 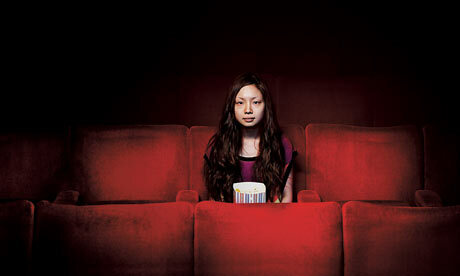 These 5 live action films are all great and cover a variety of topics. I hope you get the chance to watch any of them, especially since this is a category overlooked by most audiences. The story of a young Somali boy, “Asad” shows what life is like for many in/from this African nation. Asad, the title character, yearns to go out with the older boys and be a part of their pirate raids. 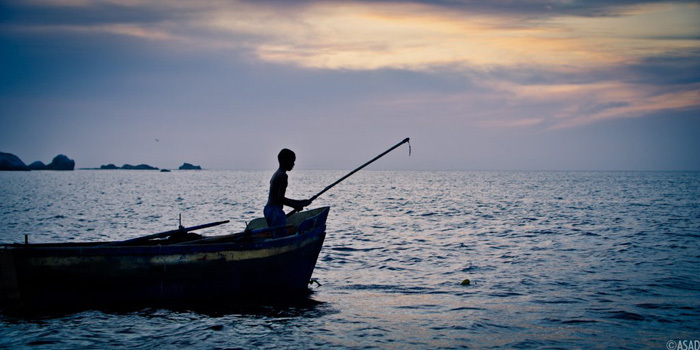 To save him from this dangerous life, an old fisherman tries to teach him how he can take care of his family without picking up a rifle. “Asad” is a good coming of age story that tells a story most would never hear about. For me, it never crossed the line to become something more than a nice, little film, though. In a year full of good nominees, that leaves you at the back of the pack. For those who have seen “Rambo III” (Sorry, I know you were trying to forget), buzkashi is the game similar to polo that Sylvester Stallone plays with the Middle Eastern warriors. If you have no idea what I’m talking about, just know that it’s a game where people ride around on a horse and carry a dead goat as if it were a football. The film is about two young boys, one a beggar, the other a blacksmith’s son, who dream of becoming professional buzkashi riders. Similar to “Asad,” it is a coming of age story for these two friends who are holding onto their dreams despite the hard life they live in war-torn Afghanistan. There are two reasons why I rank this ahead of “Asad.” First, the two protagonists work well off of each other, making the film more endearing and letting the characters develop a little more. Second, the cinematography here is beautiful. There are certain shots of the city that really make it come to life. While I liked these films, I feel like there is a big gap in quality that separates them from the next three nominees. “Curfew” is the only English-speaking film of the bunch and it has a distinct vibe to it that makes you think of American indie cinema. There are some strong viuals to kick off the story: a bloody hand reaching out of a bathtub to answer a ringing phone. Richie (played by writer/director Shawn Christensen) is contemplating suicide when he gets a call from his sister begging him to watch her daughter. 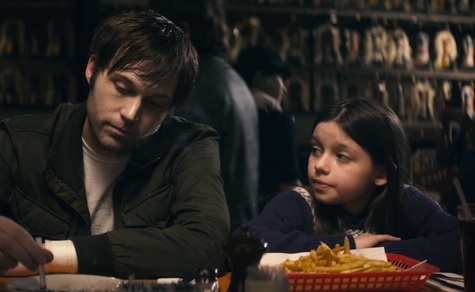 Although the two probably couldn’t get off to a worse start, eventually Richie and his niece work through their differences and their family as a whole experiences healing. In another year, I think this film could win the Oscar, but the fact that it very much looks like a student film makes it less enjoyable than these next two films. This Belgian/French collaboration is by far the most creative of this year’s nominees. The protagonist, Nathan, is a soldier who died in World War 1, but instead of going to heaven or hell, he is imprisoned in a demented art gallery located between this world and the next. His assignment in this gallery is to take photographs of the dead (preferably violent deaths), traveling through time to document their demise. During his travels, Nathan likes to check in on a woman he fell in love with around the time of his death. As his sentence at the museum comes to a close, he starts to think about how he can bend the rules of life and death to make a relationship with the woman work. 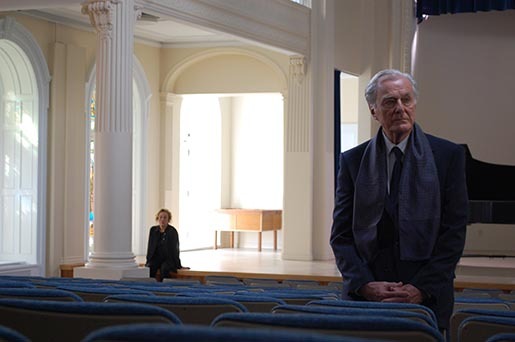 “Henry” is a Canadian film about an elderly concert pianist who finds one day his wife has suddenly disappeared. Although the true nature of the film isn’t exactly the most unpredictable thing I’ve ever seen, knowing what’s going to happen really doesn’t take anything away from the film. The filming techniques employed here make for a fantastic viewing experience. “Death of a Shadow” may have it beat when it comes to set design, but “Henry” dominates every other film in my mind. 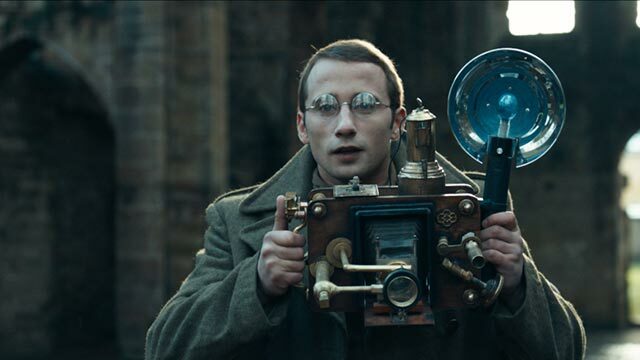 Raw emotion and great direction make this my film to beat for the Live Action category this Sunday. Well, that’s it for this category. I’ll try to cover the other shorts categories before the show Sunday (as well as post my ballot). Until then, happy viewing. The first time Moore killed my hopes and dreams was when he adapted the video game “Max Payne” into a horribly misguided film. 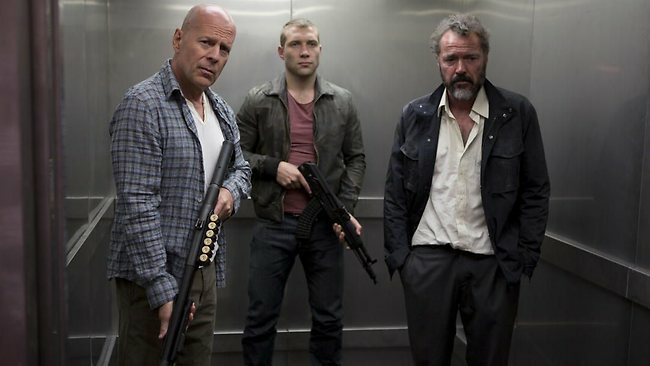 The fifth installment of the Die Hard franchise follows John McClane (Bruce Willis) as he travels to Russia to see his son, the black sheep of the family, who has been charged with murder. It turns out that Jack (Jai Courtney) is actually a deep undercover CIA agent trying to find incriminating evidence of a high-ranking Russian politician. A couple thousand rounds of ammunition later, the McClane men have something new to talk about next Thanksgiving. Willis’ McClane became an iconic film role due to his sarcastic wit and ability to knock off world-class terrorists. While there is a little of each of those here, the character suffers from having to work with horribly written dialogue and characterizations that are, at best, paper thin. On 4 separate occasions McClane bursts out “I’m on vacation!” which isn’t even true to the film’s premise. There are at least another dozen lines that fail miserably. When you start off with Skip Woods’ (“X-Men Origins: Wolverine”) shaky script, the rest of the crew can only do so much to give the film a leg to stand on. The best compliment I can pay the film is that there was a really cool car chase that kicked off the film’s action sequences. Unfortunately I can’t even give it THAT much credit because it is poorly shot and edited and has some terrible dialogue mixed into it. When “Live Free or Die Hard” came out back in 2007, the series took a turn in the wrong direction, but at least it was still a pretty good action movie. “A Good Day to Die Hard” is not a Die Hard movie. It’s not even an okay stand-alone movie. The villain is uninteresting and his (their?) plan is almost non-existent. They’re just evil for the sake of being evil, no innocent lives in the balance. McClane’s catch phrase is awkwardly thrown in at the last second as if someone forgot until the last day of shooting. This film follows few, if any, themes from the previous films and the McClane character seems to have completely changed from who he’s been for 25 years. In closing this ranting review of “A Good Day to Die Hard,” the writing is hurried, the acting is choppy, the action sequences are poorly shot/choreographed, plot holes are numerous and it isn’t faithful to previous installments. Thanks, Mr. Moore, for nailing shut the coffin of a great American action franchise. I’ll be starting my Oscar coverage in my next post. Hopefully things go more smoothly than my most recent trip to the theater. Happy viewing. Who knew there were crooked politicians? In this political thriller directed by Allen Hughes (1/2 of the brother duo behind “The Book of Eli”), an ex-cop (Mark Wahlberg) is caught in an unhealthy partenership with a corrupt mayor (Russell Crowe). After a bad shoot, Billy Taggart retires from the police force at the urging of Mayor Hostetler and police chief Carl Fairbanks (Jeffrey Wright). Years later, Taggart, who works as a private investigator, is called into the mayor’s office for a special case: finding the mayor’s wife’s lover. After accepting the case, Taggart slowly uncovers that the case is about more than just the mayor’s wife (Catherine Zeta-Jones). If you can figure out the majority of the rest of the film, you’re not alone. 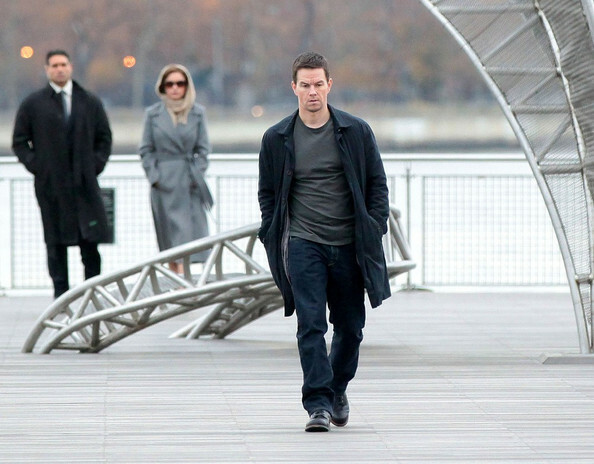 There are several good things about “Broken City,” but originality is not one of them. Wahlberg and Crowe do what they can with the script. The latter is a scene-chewing performance that is fun to watch while the former is more of an everyman character that could have been played by half of Hollywood to the same effect. The rest of the cast is made up of a criminally underused Zeta-Jones and Wright’s best attempts at a noteworthy performance. Two other notable characters are a great Barry Pepper as Crowe’s political rival and Alona Tal playing Wahlberg’s Veronica Mars-esque assistant. In order for a mainstream political thriller like this to be exceptional, the plot (and the conspiracy) have to be intriguing but simple enough to follow. The second part is where “Broken City” has some problems. What the evil mayor and his friends are up to is pretty standard stuff to find in this kind of movie, but a lot of the details are easy to miss due to some of the wording of the dialogue, etc. There’s a lot of tell and not a lot of show, so things can be confusing. This film marks the first time either of the Hughes brothers have made a feature film on their own and it shows. Together the duo has put together a pretty good resume, but something seems to be missing from “Broken City.” When Albert Hughes makes his first solo film, “Motor City,” we’ll see if things are better. I went into this film with fairly low expectations, since it was getting poor reviews, but found “Broken City” to be an enjoyable way to spend two hours. It certainly could have used a re-write or two, but there are much worse ways to spend an afternoon. This is an example of a good cast trying its best to save a mediocre film. I’ve recently been able to see this year’s Oscar nominees for Best Live Action Short and Documentary Short, so hopefully I get some time to write about those leading up to the Academy Awards. In the meantime, I’ll try to get some more consistent posting.